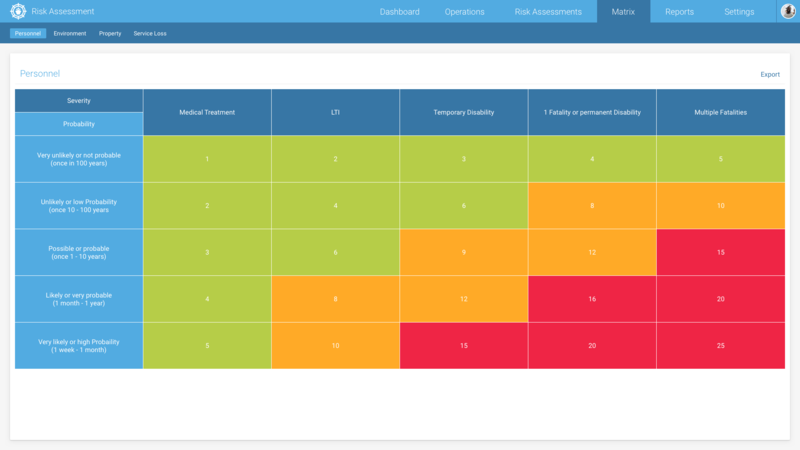 Organise your risk assessment digitally and minimise manual effort. Determine probabilities and implications of unwanted incidents and allocate danger levels to every thinkable situation on board. Be on the safe side concerning insurances. 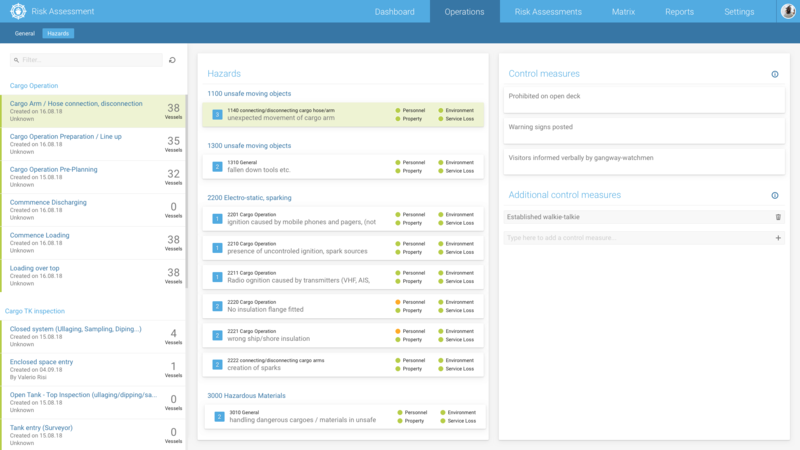 With our modular design, you can create and assess any number of operations. For the risk assessment, you can allocate a risk level to every thinkable operation, e. g. ballast water replacement on the high sea or welding jobs on the vessel. You define the risk on a scale from 1 to 5 and decide, how high the probability is that this situation eventuates. Based on these values, our module calculates the risk probability and depicts them graphically in a matrix. On this basis, you can decide whether you approve the operation or not. Reports evaluate i. a. how many operations a vessel has realised per month in a year’s time and how often a risk assessment has been executed. Your crew on board can execute operations on a valid basis of decision-making. Risk Assessment are executed entirely digital. Prevent unpleasant surprises, define all risks. Curious to learn more about Risk Assessment?